Today I have an awesome interview to add to the Side Hustle Series that will show you how to become an Instagram Influencer and make money from anywhere in the world. 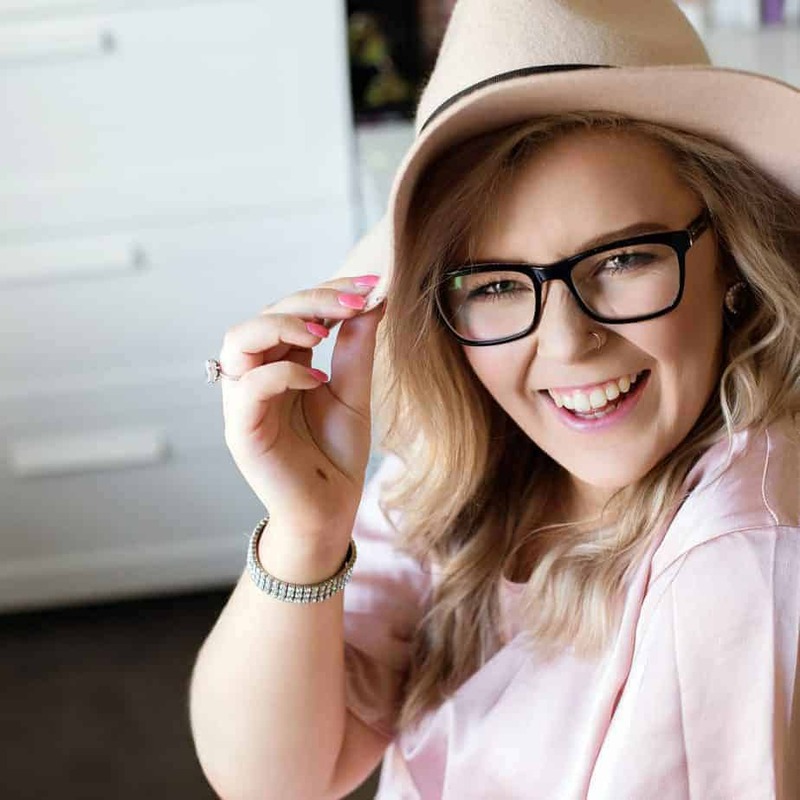 I recently interviewed Elley Mae, a full-time blogger, and Instagram Influencer who shared some amazing tips on how individuals can get started and become an Instagram influencer and make money. Elley started her first business at 15 years old and for 6 years she self-taught herself professional photography. She also learned the in and outs of running a business and utilizing social media for growth. In this interview Elley shares a ton of helpful tips to get you started today. Check out the interview below to see how you can get started in Instagram Influencer business and make money from home. 1. Please give us a little background about yourself? How did you get started as an Instagram Influencer? I began my Instagram journey back at the start of 2016 with no idea what an influencer even was. I had one idea, and one idea only, in mind – to create gorgeous photos of beauty products. Simple. After months of growing my account & gaining thousands of engaged, loyal fans, brands began to reach out to me. I began to reach out to brands, PR agencies & other people in the beauty industry. I realized then that Instagram wasn’t just about sharing pretty pictures, it was about leveraging your influence & being able to make something of your social status. 2. What exactly is an Instagram Influencer? What do they do? What does a normal day look like? An Instagram Influencer is someone who has (as the name says) influence on a particular market, and in this case, that’s Instagram. They are seen as an influential figure who gives honest advice, reviews, feedback and opinions on particular subjects (depending on their niche). Instagram influencers create unique content, both for themselves & for the brands they’re working with, through their visuals. They may create video tutorials, flatlays, review articles, etc. There are no limits to what Instagram Influencers can do nowadays. 3. What type of skill(s) does an individual need if they are interested in becoming an Instagram Influencer? A unique perspective on their particular niche. In a world where there are literally millions of Instagram Influencers competing to “out-influence” the rest, you have to stand out. And what better way to stand out than to be ourselves & share our unique thoughts on the subject that we are so knowledgeable in?! And last but certainly not least. Have a complete understanding of the fact that you cannot please everyone. 4. How much can a person just starting out as an Instagram influencer except to make per month? How much can they expect to make after one full-year? Well, although I believe there is no straight answer to this one, how much you earn per month (& year) heavily relies on you. It depends on how much effort you put into reaching out to brands for new collaborations, growing your audience, building your influence etc. Obviously, the more you collaborate with brands (or recommend affiliate products) the more you will earn. I just highly recommend not to post too much-sponsored content & drown your feed in it – this can deter your audience from checking out your feed as they sense a feeling of insecurity or “selling out”. (Yes, I know this isn’t true but hey, people will think what they think). 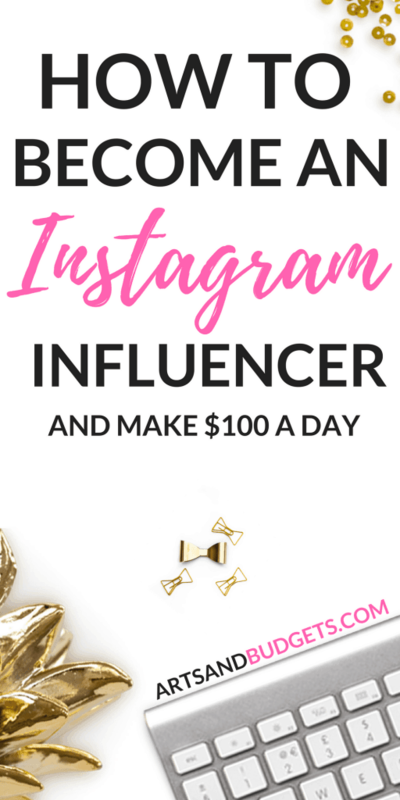 Instagram Influencers can earn anywhere from around $80+ per post starting out. Of course, this totally depends on what type of content it actually is (ie static photo, Instagram story, video, photo series) but as a general rule of thumb, most people say $10 per 1k followers you have. I, however, broke this rule way back when I had 7k followers, earning over $100 per post. How? With my hard-earned high engagement rate & solid rapport with my audience, brands could see that they were going to get a good ROI if they worked with me. 5. What do you like best about being an Instagram Influencer? The all-time best thing about being an Instagram Influencer [for me] would be how much I have grown as a person. Being an influencer has taught me A LOT about myself – life lessons that I would never have learned before now. The second greatest thing would have to be the incredible people you meet! Whether that be other Instagram influencers, PR or the people behind the brands you love & adore – it’s an incredible feeling getting to expand your network (and friendship circle). 6. How can individuals find jobs as an Instagram Influencer online? Are there any apps they can use? Heck yes, there is! I personally live & breathe Tribe; It’s a fantastic app that allows brands to put up specific campaigns and requirements. Instagram Influencers then go onto the app, browse all of the jobs available & apply for any that appeal to them. The brand then decides if the content that influencer created is right for them, and, if it is, they approve it & pay you as soon as your post is published! But Tribe isn’t the only influencer network out there! A simple Google search will bring up hundreds of results like Hypetap, Obvious.ly & Social Soup (just to name a few). You can also find jobs as an Instagram Influencer by simply reaching out to brands & doing the groundwork yourself. Sometimes brands will have opportunities going 24/7 & they’re just waiting for the right person to reach out to them! Don’t hold back! 7. What is the process after a person finds a brand they want to work with online or from an app? Once the post is published you should follow up said brand with a link to the post, a thank you note & tell them how much you enjoyed working with them That’s the basics of it! 8. How important is an individual’s Instagram feed and following count when becoming an influencer? Feed = important. Following count = not important. Nowadays, brands see a higher engagement rate as far as better social proof than just vanity figures (ie your followers). Of course, some brands may have a general “bar” where let’s say, they may only work with influencers who have over 5k followers to ensure that they’re committed long-term. But, generally speaking, your following count is NOT important. It’s about how engaged your audience is that matters. I mean, in the end, brands are looking for influencers who have genuine connections with their audience, not huge figures. Why? Because these audiences are far more likely to make a decision [or purchase something] if they trust the person that is recommending it. On the other hand, your feed is definitely important. It’s important to create a unique collection of content on your feed to show brands just how talented you really are. Show off your best posts only & never publish anything that you wouldn’t put on a resume (as a general rule of thumb). Don’t blend in with the crowd – stand out! Create a feed that is the perfect representation of you & your personal brand. 9. What are your go-to resources for beginner influencers? Well, when it comes to actually gaining “influence” on Instagram, it’s worth investing your time & money in a solid strategy. And, to do that, you can either manually research growth methods & what not through loads of Google searches, or you could check out an eCourse that will teach you the lot, like my signature program – SkyRocket Your Instagram. 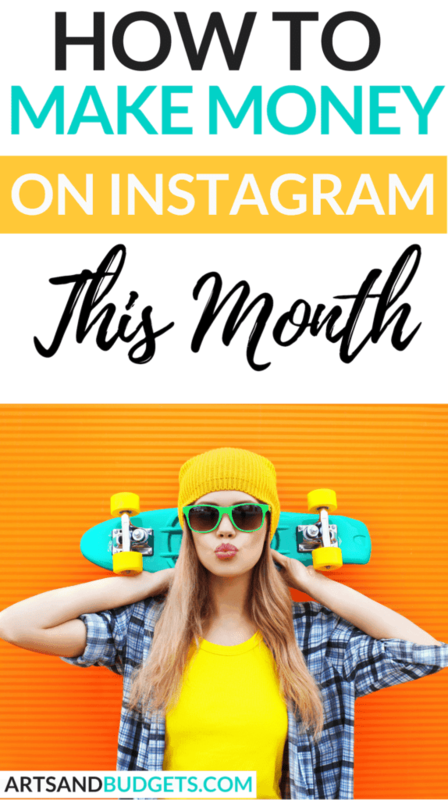 SkyRocket Your Instagram teaches the fundamentals of a solid Instagram strategy that will help you to see growth for weeks, months & years to come. You will learn how to find your ideal audience, work out what the heck hashtags are & how they affect your engagement, create a strategy to drool over & just about everything you can ever imagine needing to learn about Instagram. If you’re not up to investing in an eCourse yet, then get researching girl! Check Pinterest for inspo on your feed & keep up to date with the latest Instagram news in Facebook groups. 10. What advice would you give someone interested in this side hustle who is just starting out? Go for it – give it you’re all! But seriously, don’t wait it out – if there aren’t any opportunities out there online, look harder! Reach out to the brands that spark excitement within you & show them why you are the perfect person for them to work with. Show off your talents and be proud of them. Remain true to yourself & create more of the content that you want to create. And remember – don’t blend in, stand out! 11. Any additional tips you would like to give someone interested in becoming an Instagram Influencer? Just do it. Start today & never look back! The opportunities are endless when it comes to being an Instagram Influencer. Take advantage of it & create a side hustle you can be proud of! Great interview! I definitely agree with engagement being more important than followers! So glad that you loved the interview – and yes, engagement is SO MUCH more important than followers nowadays! This was really helpful information. I wasn’t familiar with Tribe but will have to check it out. I know there are a lot of fake followers out there, so it makes sense that engagement is key. Tribe is one of *the* best online influencer platforms I have ever used! Definitely worth checking out! This is a really helpful overview. I like that you’ve included a list of things to include when reaching out to a brand. So glad it helped Jenni! Knowledge is power – make good use of it chick! Loved this interview, it provided a lot of information especially for someone just starting out. I definitely think having great engagement is important, but the one aspect I’m finding difficult now is the algorithm. It seems to be working in favour of certain influencers and not quite creating an even playing field for all bloggers and influencers. Just something we have to work with and try to get around. I am going to shamefully admit that I do not use Instagram for my blog and I know I need to! I think I am just scared! So Thank you for this post! Hey Megan, don’t be ashamed chick! There’s nothing to be ashamed about – you’re just taking your time on your journey & that’s A.O.K! I loved this interview! I definitely agree with everything that was said by Elley! Really helpful post with lots of important details! I hope I can make it as an influencer soon, but I have to build up a following first. Great article. Love the idea to be an influencer but it feels to “promotional” for me. Sure, the products I recommend may be awesome but I’m scared to become more interested in earning money than in genuine reviews. Engagement is key and I am focusing on that right now! I have to research what people want so I can better serve them. Thank you for the tips. Great interview! Engagement is definitely everything but SO hard with the new Instagram algorithm, which is frustrating!! So much great information here! I’ll definitely have to check out tribe when the time comes! Instagram is by far my favorite platform, so it’s always good to know more! This is great! Despite the times ive never seen an interview about being an influencer by an influencer thats not selling anything!! So much helpful info for beginner bloggers and influencers. Instagram is becoming the number one platform for brands to extend their reach via influencers. Very informative post. You gave some great tips, thank you. These are really great tips. I’ll have to start using these tips for my Instagram. Great info! So much goes into this, I had no idea! I love that following doesn’t count because nowadays with the follow/unfollow game some people are playing is no-bueno! This interview was so helpful and provided great detailed information! Engagement is something I value way more than followers! I am so torn between starting an IG account for my blog and staying off it. I don’t know what to share there other than quotes. Any tips?